Two miniature bottles from the 1970s. One a fish and marked Fisch's Bitters, and one with the silhouette of Benjamin Franklin. 3 inches tall. 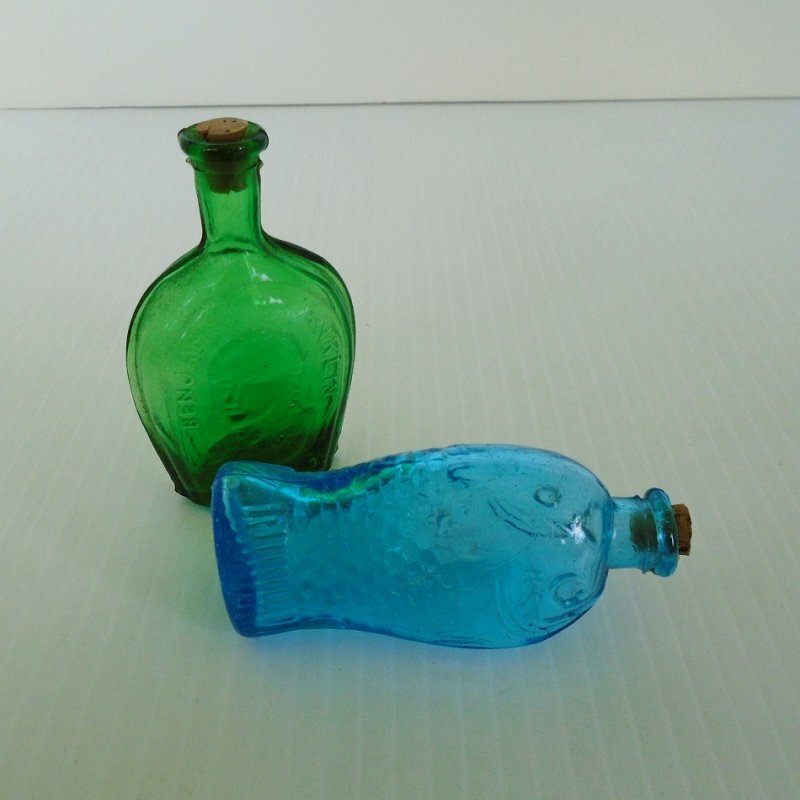 This listing consists of two miniature bottles. One is blue in color, is in the shape of a fish, and says "'Fisch's Bitters" around the eyes. The other one is green in color and says "Benjamin Franklin" with his head embossed on one side. Both bottles are about 3 inches tall. Also, both bottles still have their corks inserted, but the corks are pretty tight so I'm not going to force them to come out. The seller that I purchased them from said she is positive they are from the early 1970s. She said when she got her first apartment she bought about a dozen of these little bottles for decorations, but these two are the only ones that have survived over the years. Buyer to pay USPS First Class Mail Parcel delivery charges of $4.75. Delivery is from California.